Glenn Presnell (University of Nebraska) played football for the Ironton Tanks from 1929-1930. He also taught science at Ironton High School. Presnell was the star of a semi-professional team that regularly faced off against NFL teams. His resume included wins over both the New York Giants and the Chicago Bears. The Tanks folded in 1930, and Presnell joined the nearby Portsmouth Spartans in 1931. In 1933, he led the NFL in total offense with 1,296 yards- after he took over the role of quarterback following Dutch Clark's departure. He also broke the single season scoring record (64 points) and held the record for the longest field goal (54 yards) for nearly 20 years. After the Spartans were bought and moved to Detroit, Presnell did the honors of selecting the color scheme for the new Lion's uniforms. 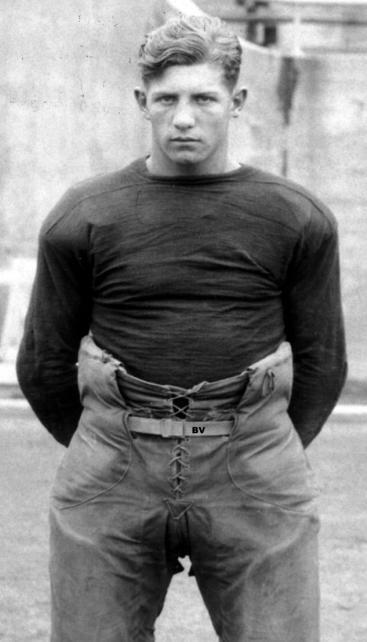 He remained with the team until 1936 and went on to become head coach the University of Nebraska. Presnell died in 2004 in Ironton, Ohio. He was the last surviving member of the Detroit Lions 1935 title team.